The biggest streamer is under fire for a statement he made about why he doesn't want to be under fire. Ironic. But that is par for the course with the online video gaming streaming industry which has sprouted multi-millionaires just streaming video games with their own personality. Tyler "Ninja" Blevins has publicly stated that he has a policy of not playing with female gamers. Blevins gets around 145,000 views a stream, and that is just the last time I checked, and his success was tied to the video game Fortnite which was arguably a huge part of why he became so huge. But now Blevins is saying that he does not stream with other female gamers and has explained why. "I don’t play with female gamers," he said in an interview with Polygon. This may seem surprising, but if you know anything about the internet you know how quickly rumors, memes, and toxicity, in general, get started. "If I have one conversation with one female streamer where we’re playing with one another, and even if there’s a hint of flirting, that is going to be taken and going to be put on every single video and be clickbait forever," Blevins explained. Pretty much anytime a female streamer plays with a male streamer, rumors fly and it has been shown to be the case time and time again. Blevins is actually married and says he doesn't want to subject his wife to the rumors and hurtful comments that would inevitably occur. 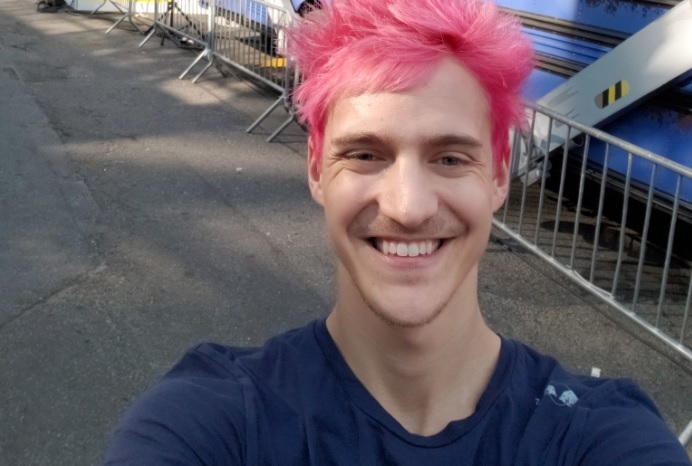 "Not being connected to other women online, that was something I made 100-percent sure," he said as he explains that the decision not to partner with female streamers was solely his own and had nothing to do with his wife. "That was not even her. She had nothing to do with it. That was me being, ‘I love our relationship,’ and, ‘No — I’m not even gonna put you through that. The only way to avoid that gossip is to not play with them at all." Here are some of the reactions from other Twitch streamers on Blevin's decision. Hes doing a 'Mike Pence'. You cant be accused of harassment if you avoid women.